Down in Campania, the husband and wife team, Pasquale and Elisabetta Luioro, have a 14-hectare property that is near the sites of such archaeological wonders like Hera and Poseidon's Temples from 600 BC. This land is old and their vines thrive among citrus groves, olive trees, and fig trees. 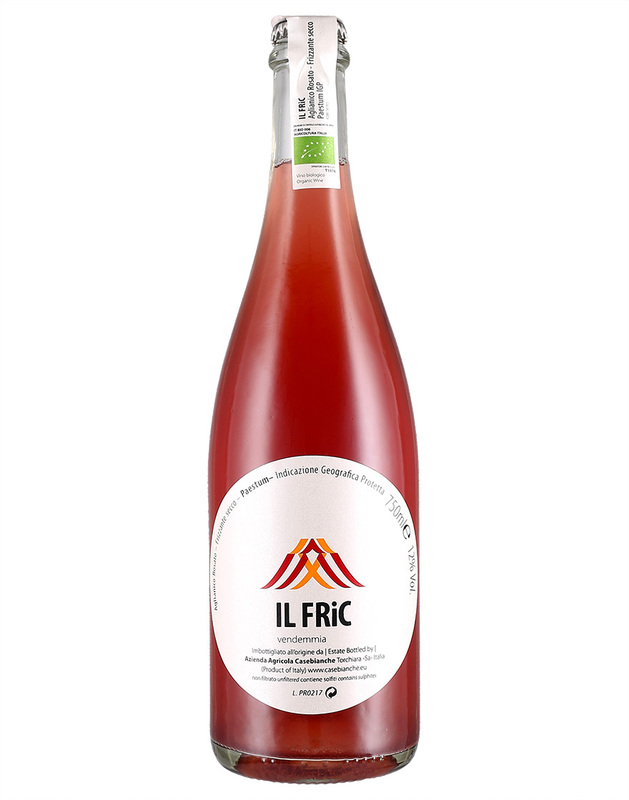 After being grown on clay limestone soil, this Aglianico goes through a 6 hour maceration; there are no sugars or sulfites added to this sparkling rosé! It's fresh and vibrant with notes of watermelon and raspberries. This is the sibling wine of Il Fric and is named after Pasquale (which is Pashkà in the Neapolitan dialect!) and is a wine truly after his heart! It is made from a base wine that blends Aglianico and Barbera. In the Spring, it is altered by adding unfermented must to the base wine before bottling; this lays the groundwork for the wine to re-ferment in bottle. A dark, red bubbly beauty, it has notes of spice, herbs, and strawberries. From natural winemaker Filippo Filippi, whose family has been creating wines in the Veneto since 1900, this 100% Garganega was grown on volcanic soil grown at 320 meters high. It was fermented and elevated in stainless steel vats and spends time on its lees. It is soulful and smooth with notes of almonds and grapefruit. We’re so excited about this newbie! In the sunny and windy climate of northeastern isle of Sardinia is where biodynamic winemakers, Cinzia and Eugenio Pelazza, have made their home. This Vermentino was harvested late, pressed and had skin contact for 14 days, giving the wine a golden-rod hue. The wine was then aged for two months in used barriques before additional aging time in stainless steel. It has a full, saline and mineral-driven body with notes of thyme and apricot. Slovenia is bordered by Italy to the left, Austria to the North, Hungary to the right, and Croatia to the South. After a tumultuous few hundred years of war and confusion the region is able to showcase their unique terroir and history through their wines. Winemaker Rado Kocijancic's terrain ('ponka' in Slovenian) is on calcareous clay marls and sandstone that is the result of an ancient sea bed that has risen gradually over the past 60 million years. This gives the vine roots access to the fossilized soil and brings an extra mineral driven edge to their wines. This is from the indigenous grape Refosco Terrano and was fermented and elevated in stainless steel. It is a gulpable, light wine with notes of freshly cut herbs, cherry, and raspberry.